Even those of us who don’t write out a list of New Year’s resolutions tend to look at January as a time of new beginnings and fresh opportunities. In fact, January takes its name from Janus. In ancient Rome, it was Janus who guarded the gate to the New Year. 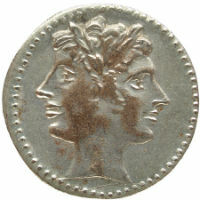 He was often depicted as having two faces (as shown here on this Roman coin): One looking back at the old year and one looking forward to the new one. 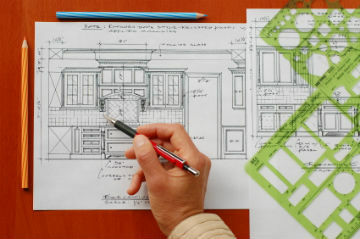 The beginning of a New Year is a great time to think about new beginnings for your home. But like Janus, you may want to take a quick look back at your home (and specifically how you’ve used it in the past) before you start making plans for the future. Coming off the holiday season, you probably have some pretty clear impressions of what it was like to entertain larger groups of people. What did you like about hosting company in your existing home? What was frustrating? Would you do more entertaining if your home was better able to accommodate guests? Perhaps the first home remodeling project that comes to homeowners’ minds is the kitchen—because so much social activity revolves around the kitchen today. Would having a bigger—or even just a more efficient—kitchen make it more enjoyable to host guests in your home? A redesigned kitchen can have a huge impact on your whole home. And while this involves more than just a “face-lift” that a fresh coat of paint provides, it also delivers a lot more in the way of enjoyment. Or maybe you felt a little cramped in your family room over the holidays and you’re thinking it would be nice to open up the space between your kitchen and your family room. Creating an open, airy space like this is something else that can change the whole character of your house. And while it may sound a bit intimidating (and you don’t want to start knocking out walls without having a professional check the structural integrity first), there are few renovations that have such a dramatic affect. So as you enter the New Year, take a cue from Janus and give a quick look back at what you liked or didn’t like about your home and then look forward to what you’d like to change.